How much coffee per cup should you use? There is more to making good coffee than knowing what the perfect kinds of coffee beans are and perfecting your brewing technique. A huge part of the process also includes taking precise measurements and understanding how to tweak brewing ratios according to one's tastes. How Many Tablespoons Of Coffee Per Cup? How Many Scoops Of Coffee Per Cup? 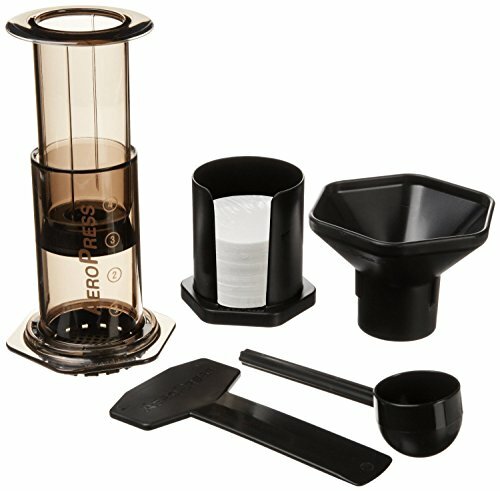 For what is the purpose of high end coffee makers and exotic coffee beans if you don't know how much ground coffee per cup to use or what the right amount of water is? The definition of a "good cup of coffee" differs from person to person, so the brewing ratios below is merely a guideline- you can treat it as a starting point for further experimentation. You can tweak the amount of water or coffee as needed. A rough guideline for a deep, balanced brew is to use two tablespoons of ground coffee for every six ounces of water (3/4 cup). This is equivalent to one gram of coffee per 16 millimeters of water, if you want to be more precise. For larger batches of coffee, this is sixty grams of coffee grounds per liter of water. SEE ALSO: How Many Tablespoons In A Cup? A food scale and a coffee scoop are the usual equipment that home brewers use. This allows for precise measurements every time you make a cuppa and also prevents wastage. Sure, you can measure coffee grounds by sight alone, but this is more often than not unreliable. 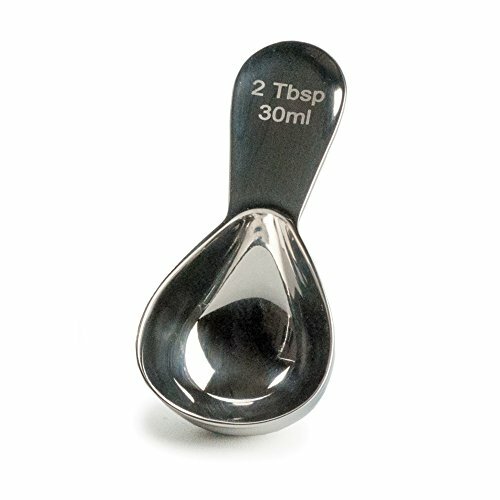 If people want a method to measure coffee that is accurate as it is easy, they can opt to use just a coffee scoop instead. For example, one scoop of coffee using the RSVP﻿﻿ Endurance Coffee Scoop gives you enough for six ounces of water. It's safe to start with the 1:16 coffee-water ratio if you're making coffee through the pour-over method. However, this method doesn't always produce the most consistent of brews as compared to using brewing methods that use specialized equipment like an espresso machine or an AeroPress. So, before you start changing the ratio, you might want to grind your coffee finer than usual so that there is more surface area for the water to flow through (if you want your coffee to be "stronger"). You can also pour the water more slowly through the coffee to maximize the brewing time. It's important to note that freshly ground coffee is vastly different from instant coffee. Even mentioning these two kinds of coffees together in one sentence might seem like an unforgivable travesty to the most serious of coffee connoisseurs. Because instant coffee is definitely not "fresh" coffee per say. It's just pre-made coffee that has been freeze-dried and crushed into granules. You just add water, and voila! You don't need to brew it or anything. So, a lot of the subtle nuances and aromas that freshly ground coffee has is lost in instant coffee. However, this doesn't mean that the former is "bad" coffee. Instant coffee is great when you want a quick caffeine fix or if you want to whip up coffee flavored mix drinks. There are a number of reasons why precise measurement is important. First is consistency. You want your coffee to taste how you like it day after day after day. So, then you must follow a precise coffee-water ratio every time you brew. Remember that messing up the ratios (e.g. too much/little water or coffee) may result into over or under extraction. This means that your coffee will turn either too bitter or too sour - two taste profiles that nobody wants for their morning coffee. Another is conservation. Coffee beans, especially the higher quality ones, can be expensive. This is the reason why coffee enthusiasts often have a food scale at home to ensure that both their brewing ratios are correct AND to avoid using more coffee than they have too.